Quick note. . .how YOU can help! My friend and teammate here at CitySquare, Keilah Jacques shared this poem with us recently. Profound. Margaret Walker, “For My People” from This is My Century: New and Collected Poems. Copyright © 1989 by Margaret Walker. Reprinted by permission of University of Georgia Press. Who benefits from minimum wage increase? 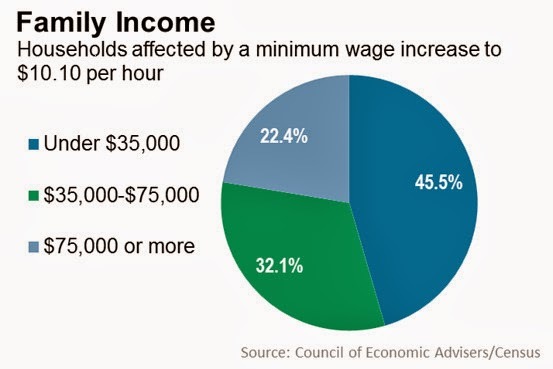 Interesting article from The Wall Street Journal on the benefit distribution of an increase in the minimum wage. Rock Enroll this Saturday, March 1! On March 1, from 10 a.m until 5 p.m., the CitySquare Public Policy Department will host Dallas’ first young adult health insurance enrollment event at our CityWalk (511 N. Akard) location in Downtown Dallas. Though this city-wide Affordable Care Act education and enrollment event is targeted at young adults, it is open to the public. CitySquare has partnered with nationally recognized groups like Enroll America and the Young Invincibles, as well as a statewide partner, TexPIRG Education Fund (that works closely with university students) to make this event largely visible and well attended. As a result, it has been recognized by the Department of Health and Human Services in Washington, D.C.! Saturday will be a fun filled day with local DJs, food trucks, fitness instructors, and Health Care Navigators to help us deliver Dallas’ largest young adult enrollment event. We expect to see a strong local and national media presence, with local and statewide elected officials, university leadership, not to mention some of the areas tastiest foods trucks! We would love for you to attend! As with any CitySquare event, we need as much help as possible! If you are available to volunteer, please sign up here. 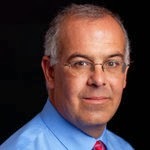 New York Times columnist, David Brooks always challenges me. Have a quick look here for a load of truth, maybe even a road map for the nation. The secret essence of the soul that knows the truth is calling out to God: Beloved … strip me of the consolations of my complacent spirituality. Plunge me into the darkness where I cannot rely on any of my old tricks for maintaining my separation. Let me give up on trying to convince myself that my own spiritual deeds are bound to be pleasing to you. Take all my juicy spiritual feelings, Beloved, and dry them up, and then please light them on fire. Take my lofty spiritual concepts and plunge them into darkness, and then burn them. Let me only love you, Beloved. Let me quietly and with unutterable simplicity just love you. When I first met Eddie, he sat in his wheelchair in front of the Downtown YMCA panhandling folks who walked by him on their way to workout inside. Lots of well-intentioned people, including me, gave Eddie money, meals and provided occasional nights in nearby hotels. My staff chided me and forced me to swear off helping Eddie in the manner I normally did. So, Eddie became a friend of CitySquare. Or, maybe better, CitySquare became Eddie's friend. There were times when he likely didn't consider us his friend! Tough love can be difficult. Eddie's had a misfire or two on his way off of the cold, hot, mean, lonely streets of Downtown Dallas. I won't go into anymore detail, it's really nobody's business but Eddie's. Still, I can't help but celebrate his victories and his hard-won progress. And, I can't resist the urge to tout the great work accomplished by our team of street workers here at CitySquare. Here's a great set of photos of Eddie signing a lease to his new apartment before getting a "new look" for his new start. I gotta tell you, these photos made my day! Our growing capacity to look the other way when confronted by poverty in the public sphere lead us to accept not only the segregation of our neighborhoods and public places, but also the segregation of our consciousness and being. When we close the door or turn away from the stranger, a door closes in us as well. Providing leadership to a growing non-profit organization can be a maddening enterprise! Don't get me wrong, I love the work I get to do every day. I love my team. I love our neighbors. I love our supporters. But, and maybe it's my prejudice for a "full disclosure" approach to about everything, this job is the hardest one I've ever had, bar none. A huge part of that "hardness" factor relates to funding. Forgive me, but it helps to talk about it--just to lay it out there for everyone to see. 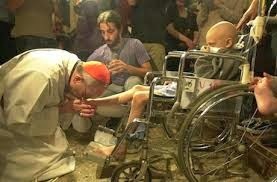 This approach is sometimes frowned upon by the experts in philanthropy. I mean, you just don't reveal everything when it comes to funding, development strategies or the financial threats that you inevitably face along the way if you are attempting anything worthwhile. So, stay with me for a bit here as we consider a number of the realities of non-profit funding. 1. Every year you must find a way to virtually, completely recapitalize your business. This is especially true if you work in the human services/poverty space. Cash reserves are nice and important, and very difficult to grow in view of the pressing and expanding human need that one observes all around. Basically, in this sector you grow accustomed (almost) to having to build your wealth from practically ground zero every 12 months. Thank God for great, good, consistent partners who journey with you in this world! 2. The reality of differing kinds of funds with different uses can send you over the edge! Very little of the funding received is for general or unrestricted use. Especially as an organization grows, more and more of the funding comes in the form of contracts, grants, or bequests that restrict and designate just where funds may be legitimately deployed. So, an organization might have $1,000,000 in the bank, but none of it be available for use except in the special way its purpose is defined. Imagine if your paycheck were restricted in such a manner. What if you could only use your pay for capital improvements or education or savings? How would you cover more general operating expenses? Possibly you would decide to get a part time job! Non-profit management can feel about that scattered and desperate at times. Hey, I'm just sayin'! 3. Then, there are matters related to sheer scale, as in the amount of funding that must be acquired on an annual basis. Let's say your organization crafts an annual operating budget, not including any special capital or reserve efforts, that comes in at $11,900,000. In real, pressing, "keep you on your toes and awake at night" terms, that budget calls for funding at an annual rate of $1,358 per hour calculated on a twenty-four hour/7-day week basis. 4. Meeting your financial objectives and goals demands the development of a sophisticated strategy complete with a variety of fundraising tactics. To raise $1,000,000 monthly you need some large gifts. You also must be working on a basis of hundreds of smaller gifts. Staying in touch with your supporters on their terms can be challenging, but essential, and not just because you need their gifts. Effective fundraising assumes that you are working to assist donors realize their individual giving goals. 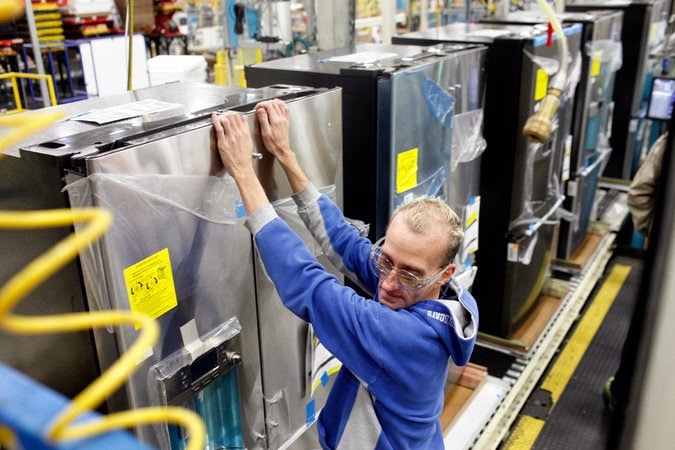 More and more non-profit organizations are attempting to identify "widgets" to manufacture in hopes that social enterprises might provide some relief. Fee for services and sales can be helpful in rounding out a comprehensive funding strategy. No one approach proves adequate. More on all of this later, I'm sure. Thanks for hearing me out. . .it helps, as I noted in the beginning. But now, I've really got to get back to our daily goal: $32,592 and some change! Just in from the Colorado Health Foundation. Move evidence of the interrelated complexity of poverty. This poverty is destroying our neighborhoods. Opportunities for good health bypass far too many people, in Colorado and nationwide. If you live in a poor neighborhood, chances are that you are not as healthy as someone who resides in a more affluent neighborhood. Your address reflects your health – and more. "There's a lot of information in an address," says Anthony B. Iton, MD, JD, MPH, senior vice president of healthy communities for The California Endowment. "It tells me about your income, your education, the health amenities you have access to and employment opportunities you can access. I can pretty much predict your life expectancy by where you live." Iton has data to back his point. Mapping life expectancy in major metro areas by census track or ZIP code finds wide ranges even a few miles apart. In Philadelphia, for example, those in the city's center live 6.4 years less on average than neighbors 21 miles away in Chester County. Life expectancy in Oakland, Calif., is less than 74.3 years compared with more than 80 years in much of the rest of the county. Assuring the highest level of health for all Americans is a goal that many experts believe makes both humanitarian and economic sense. But achieving what some call "health equity" requires tackling social determinants of health such as income, education, nutritious food, safe housing, affordable and reliable public transit, culturally sensitive health care professionals, health insurance, and clean water and air. "That's why health equity is so elusive," says Len Nichols, PhD, director of the Center for Health Policy Research and Ethics at George Mason University. "You can't push one button. You have to think about the totality of the social fabric of the community." Looking for quality films to take in during African American History Month? Asset Poverty: "One Crisis Away"
DALLAS/FORT WORTH – Imagine being so close to the financial edge that a single life event could push you and your family over. According to a study by the Corporation for Enterprise Development, 29 percent of North Texans are classified as "asset-poor" – meaning they don’t have sufficient assets to live for three months at the federal poverty level if they lose their income. KERA, the North Texas public broadcasting station, and Communities Foundation of Texas (CFT) present One Crisis Away, a free public forum discussing asset poverty in North Texas at Dallas City Performance Hall on Thursday, February 27 at 7 p.m. The free public forum is the culmination of the ongoing One Crisis Away news series launched by KERA News in November 2013, following four families bravely telling their stories of living on the financial edge. The news series includes radio and video stories; conversations on KERA FM’s Think; and a television program of the public forum scheduled to broadcast Thursday, March 27 at 7 p.m. on KERA TV. Moderated by KERA’s Krys Boyd, the One Crisis Away event will feature an in-depth discussion on asset poverty with three leading experts: Andrea Levere, president, Corporation for Enterprise Development; Alfreda Norman, vice president and community development officer, Federal Reserve Bank of Dallas; and Larry James, president & CEO, CitySquare. Join the discussion by submitting questions for the panelists on Twitter @keranews using the hashtag #onecrisisaway. The One Crisis Away forum will begin promptly at 7 p.m. at Dallas City Performance Hall. The event is free but seating is limited and offered on a first-come, first-served basis. Doors open at 6:15 p.m., so arrive early for best seats. To attend the One Crisis Away free public forum, please RSVP by Tuesday, February 25. KERA’s One Crisis Away project is funded in part by Communities Foundation of Texas, Allstate Foundation, Dallas Women's Foundation, The Fort Worth Foundation, Thomson Family Foundation, and United Way of Metropolitan Dallas. It's all about the "why?" Recently, Republican leadership in the U. S. House of Representatives released a document titled “Standards for Immigration Reform” outlining a set of principles to guide their negotiations on the issue in 2014. This clear statement of the Republican position provided encouragement to those of us who have been working hard and clamoring frequently for Congress to take action to define, reform and pass comprehensive immigration reform that will benefit millions of our undocumented neighbors by providing them legal status and the protection and opportunity that they so richly deserve but presently do not enjoy. Protection is essential because currently many of my undocumented friends work, study and serve without assurances provided by law or regulation. As a result, workers are forced to live with the exploitation of unscrupulous employers who take advantage of their immigration status to underpay or, in some cases, to not pay for work performed. Furthermore, in many of the most demanding work settings safety, human resources standards and fair labor practices are not simply neglected; they are largely ignored or completely dismissed. Dedicated, hardworking students complete degrees at our universities with absolutely no pathway to full employment. Individuals and families are forced to live in what amounts to an underground society defined by limitations and the very real fear of deportation and separation from loved ones. I understand the fears of parents well thanks to the fact that for several years I’ve worked with a family whose son was deported to Mexico, even though he was brought to the United States as a very young child with no knowledge of immigration law. Jose, now sent away to a village in central Mexico, knows nothing but his experience and self-understanding as an American. A city like Dallas would be hard pressed to function without the presence and labor of the undocumented, like Jose’s father. Comprehensive reform would bring everyone into the light of day. The overall local economy would benefit. Our schools would improve dramatically, as now documented parents felt more confident in engaging with public schools. Law enforcement, labor relations, business development, home ownership, community strength and enhanced social stability would improve the quality of life for us all in virtually every neighborhood in town. Beyond the clear economic return to Dallas as a result of immigration reform, we need relief from the injustice and immorality of the current state of affairs that weighs on our city’s self-understanding, as well as its vision for a bright future. No city aspiring to become a world-class community built on fundamental democratic ideals, the power and beauty of human diversity and the promise of a people’s innovation can achieve its goals when so many of its people cannot function as fully vested partners in the enterprise of hope and justice. Unfortunately, the Speaker of the U. S. House of Representatives has now come out to inform us that he will not take up any effort to enact reform this year. Claiming that President Obama “cannot be trusted to enforce the law,” Speaker Boehner has decided no action is the proper approach to this pressing national problem. Texas is special. So much of our history, hope and heritage connect to families south of our boarder. For generations the real immigrants to Texas, and more particularly to Dallas, have benefited greatly from this Latino connection. The time has come, and is long past due, to honor our centuries old joint heritage. Providing a way for our hard working, undocumented neighbors to more fully embrace our community, its opportunity and its promise makes sense for us all. To fail again in addressing this clear and immediate challenge seems unthinkable. Clearly, it is time for action. Read the entire message here. This ad moved me deeply. The role of the United States as a great welcoming land must never be lost. This same spirit translates into every plan, aspect, dream and action that we take in the inner city here in Dallas. All are welcomed! The party needs to grow larger, not smaller! Today snow, ice and cold shut us down at CitySquare. Our kitchen in the Pantry closed. Our food warehouse went dark. Everyone either stayed at home or left early to get there as the weather worsened. So, I didn't go the "the Corner" today. No food or drink or coffee to share. I didn't go, but some of my dear friends did. . .they live there and have few options. The Corner has taught me that poverty offers few options and often no really good choices. But they were there in the snow, ice, wind, and what I expect felt like gray hunger. The Corner has quickened my understanding of things. It has altered my memory and my experience. It snowed unexpectedly in Dallas today. Many of my friends found themselves outside. It is not enough to remember or to know. My friends deserve so much more. They deserve better. As I say, it is not enough to remember or to know. Will someone please tell me what this means? I'm not connecting to the images of labor, sacrifice, deeper meaning, danger, giants and even community that take us to an expensive sports car. This week an amazing report on the shrinking middle class in the United States hit the streets via The New York Times. The report was based on analysis done, not by social scientists or liberal political talking heads, but by business leaders and marketing strategists. Clearly, this sort of trend alerts us to the growing numbers of people who stare poverty in the face on a daily basis. We must work smarter. We must become bolder. We turn away from systemic, collective strategies to our own and our society's peril. There is much to consider in this TED Talk. Certainly, as we relate to people, including "poor people," dealing honestly with my own life struggle will be essential. Vulnerability is a real challenge, but so worth it if change and transformation remain our objectives.